'Salt, Fat, Acid, Heat' Star Samin Nosrat It's Tuesday (and Christmas). 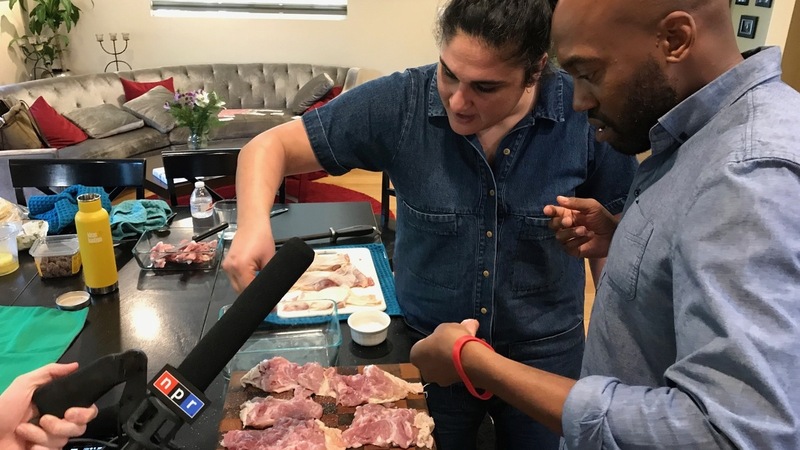 Sam is in the kitchen with Samin Nosrat, author of the James Beard Award-winning book 'Salt, Fat, Acid, Heat' and star of the Netflix show of the same name. She talks to Sam about adjusting to fame, how she became a chef, and what makes her pessimistic about the world right now. Newfound celebrity is great. Now, Nosrat wants to change things. This taping called for a decent kitchen, and the office kitchenette wasn't up to snuff. 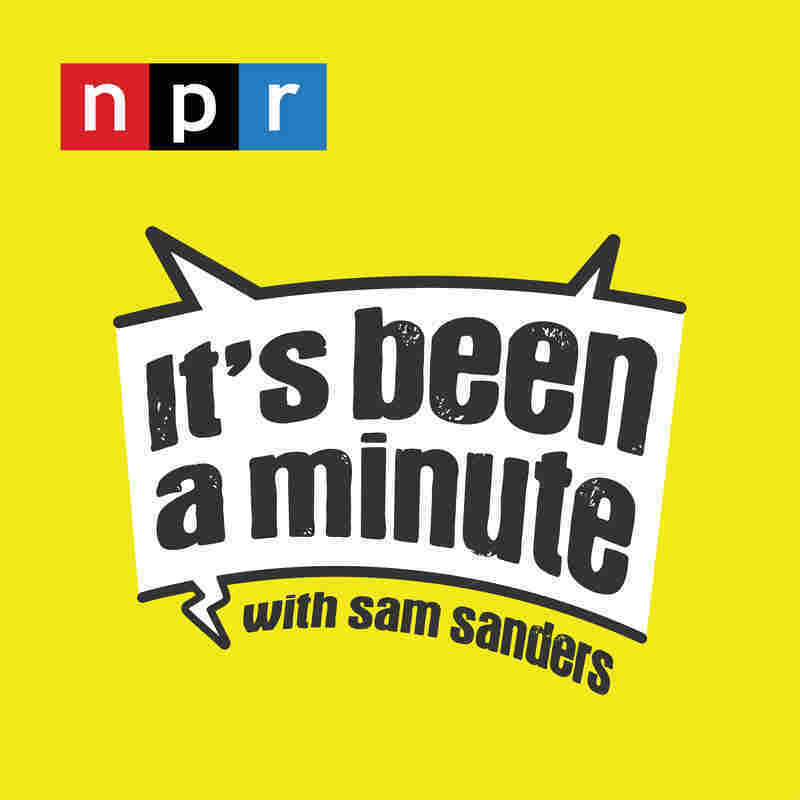 Instead Samin Nosrat met NPR's Sam Sanders in the home of an NPR colleague in Culver City, Calif. 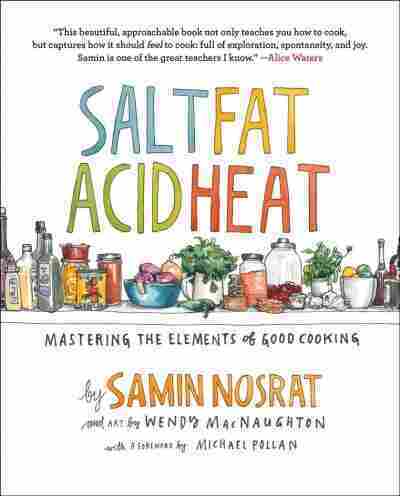 The award-winning chef and author of the wildly successful Salt, Fat, Acid, Heat is suddenly a lot busier since the debut of her Netflix show of the same name. She'd barely had anything to eat all day, so before she and Sam could cook, they had to eat. But what? Trader Joe's cheese and green chile tamales. Microwaved. "I buy them and leave them in my office freezer at work," she says. "Those ones are really delicious." 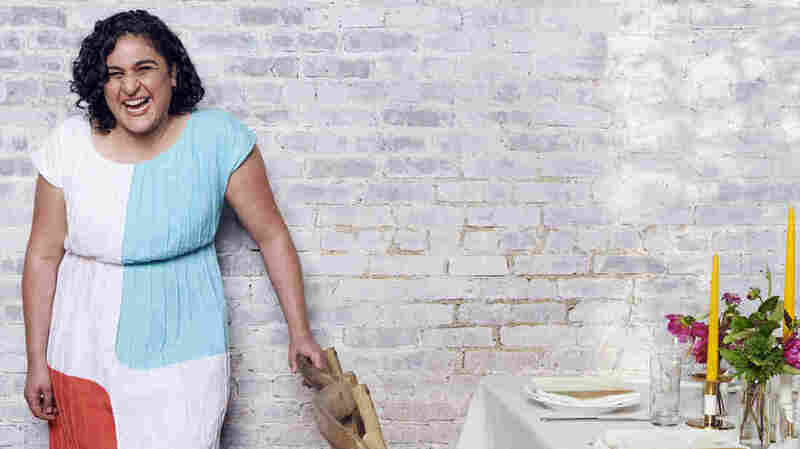 Welcome to Samin Nosrat's world of food: She is practical, down to earth and not here to judge. "I just feel like shame is not a good teaching tool," she says. But teaching is exactly why Samin is here. She spoke to Sam about how she became a chef, the changes she'd like to see in the food world and her pessimism about the future. I just don't feel like telling people that they're not buying the right thing or that they don't like the right thing is going to win anyone over and make them want to listen to me. Also, you know what it — salt, fat and acid make food taste good. And we as humans have evolved to crave those things. So people already know that — even if they don't care about cooking and they don't want to care about cooking. The example I always use is when you go to a Mexican place and you get a burrito, and you take a bite and you're like, "Hmm, this is falling flat. How do I fix it?" You're like, let me squeeze some lime. Let me put some sour cream; let me put some guacamole; let me put some salsa. What are those things? They're salt and fat and acid. That's what makes food taste good. That's what makes pizza taste good. All the things that we want to eat have those things in balance. And helping people realize that they already know that maybe makes them a little more excited to put that information to use. I really enjoy it. I really enjoy having a new medium for storytelling. It's not my life goal to be a television star. I think as long as I have another idea that makes sense for me to do it, I would like to do it. But I think probably what it will be is that I do one more thing, and then once I have some power — then what I'm going to do is open the door for other people behind me. Because the interesting thing is seeing a big part of what people have been so excited about [my work] makes me a little bit sad actually — like the number of think pieces. And [writers are] so over-excited to see somebody different on camera. And I'm like, "You're really starved for this." We, as a community, are really starved for this. And I already, to some extent, had the experience of feeling like the only brown cookbook writer — not of all cookbooks, but certainly of the general cookbooks that have now been accepted into the cannon. And so usually, when you're like not a white person, you write a book about your family's heritage cooking, which is not a bad thing! But then somehow, your identity becomes the topic rather than your work. And so I don't want to be the only one. So I feel like it's my responsibility — and also joy — to hurry up along the others behind me as fast as possible. Sam Sanders and Samin Nosrat cook together in Culver City, Calif., on Dec. 11, 2018. I always say if I were given an opportunity to return to graduate school, I would do my work on gender in the kitchen. You know, about 10,000 years ago is when we switched from being hunter-gatherers to agriculture as our main source of food, where men bring home the meat and women cook it for the family. So if your job to sustain your family was to, I don't know, stretch a pig for as many months as you could, you found different ways to preserve it. You found ways to take the gristly parts and make them delicious, and something your kids want to eat. You learn to use all the stems of chard. And women did that. That's what we now call peasant cooking or grandma cooking, which gets elevated and often served in a fancy restaurant with some pasta for $45. But then, approximately 300 years ago — 250 years ago — was when restaurants became a thing. And suddenly now there was money and attention and power attached to this job that became a profession. So at that time, kitchens became a place for men. Even traditional French cuisine which is accepted by many people as the standard — you know, traditional French kitchens are called brigades, and the organization of sous chefs is modeled after the military. So the idea of how a kitchen is run is very militaristic — and that's in order to create order and organization — but it's a very masculine thing. And of course this space was not really welcoming to women. So an entire profession was born where men got the attention, men got the money, men got the stuff and then that sort of has just continued on and on and on. I feel like the whole thing needs to be burned down. I mean, I live in the Bay Area. There's been a lot of women speaking up about abuse and harassment. And the instinct isn't to be interested in hearing the stories of the people who have been victimized at all. [I'm also pessimistic about] the way that, for example, just three crops in this country are subsidized by the government, while abandoning all the actual vegetables. And then there's climate change. I'm just in a particularly pessimistic mode at this moment, and sometimes when I'm feeling the weight of all that I feel like the only thing I can do is what I can do, which is get people excited to cook. Full of joy? Yeah. I am full of joy, too. You know, people watch the show and they feel like they know me, which is wonderful. But also, that's just one part of me. I'm also a highly neurotic person who has done my homework for a long time and puts a lot of thought to what I put out in the world. I write this column for The New York Times Magazine. And when I first started cooking, this very column was the column that I upheld in my mind as the highest echelon of food writing. I've read it every week since I started cooking. And I always thought maybe one day I could have that column. And so [today], quite often, I'll get a message — often it's just a one-line message from the editor-in-chief, or my top editor, who's like one editor down — it'll be one line: "Wow, really good job this time," or "That was so delicious; I went home and made it." And I'll float for a week, or for two weeks, on that one-line email. So now, a friend reminded me that I'm that for other people. It's my job to be really aware that I'm doing that for other people. This episode was produced and edited for broadcast by Danny Hajek, Brent Baughman and Alexander McCall. It was adapted for Web by Brent Baughman and edited by Alexander McCall.